Shoot less: To avoid collecting a myriads of poor quality shots, make every shot count. To avoid collecting a myriads of poor quality shots, make every shot count. 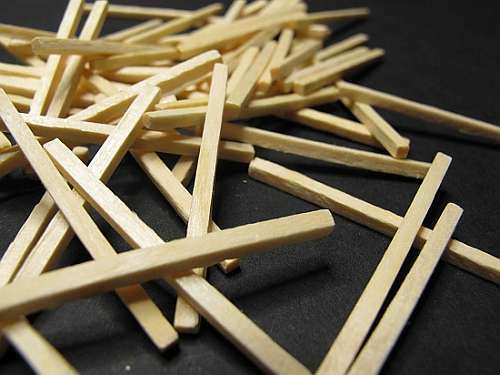 Avoid collecting matchsticks! Shoot less. Do you seem to take photographs as if you were shooting a machine-gun? Is that really necessary? The vast majority of photos taken today are just background noise. If you have a reason to make an image then you should be taking care to ensure the worth of that shot. Many top photogs have noted there is always something that defines the shot, gives you a reason to take it. So if you want to make your photography count, then choose your shot and take care with it. Make it work. If there is nothing that draws you in to take a shot – don’t push the shutter button. Think carefully about every shot and you will take less shots. Each will be more meaningful. Each will have a reason for being taken. You will keep more for your future library of photographs. Photographers end up with a lot of captures in a session because they do not have enough confidence in their shooting ability. They press the shutter button and hold it down to capture a whole string of shots. They hope one will come out. They may just take dozens to “make sure”. The This “poke-and-hope” method is a dead-loss. If you are actually practising a technique, like panning, it may be what is required. Most often it is just taking “pod luck”. It is never OK to fire off more and more shots in case you have messed up. You will never improve your confidence or standard if you take simply repeat your mistakes at high speed. A mistake is a mistake no matter how many repeats you take. Try a new technique – deliberately shoot less shots. Aim to raise the standard of every shot, each time you take one. Taking care with your shots means running through a series of steps to make sure you have got it all right. Shoot less haphazard shots and shoot more thought out and properly composed shots. Take the time to set up the shot to get everything the way you want it. Take the time. Build your confidence. Taking time will give you confidence, and the thought process will help you dedicate a caring approach to each shot. Care and attention that you put into every shot will return more keepers and quality shots. Research your shoot in advance – list your aims. Pick your place to shoot – research location and site. Practice the techniques before you go to the shoot. Plan out what shots you want to get. Pre-plan each shot before you lift the camera. Know what you want to achieve in this shot. Set up the camera for your shot. Take command, tell people what you want them to do. Line your shot up in advance – do not snap away. Time the shot for the right moment. Take a proper stance to stabilise the shot. Review the shot on the LCD screen. Make adjustments to improve the next shot. Shooting productively, means leaving a shoot with higher quality images and fewer discards. If you shoot less you Your time is better spent if you have been productive, and your post-processing will be cut. Most of all you will find that looking through your shots is more rewarding. Make a conscious effort to improve your productivity. Aim to make every shot a keeper. Train yourself to follow a sensible work-flow and you will considerably improve your photography. Do You Dump Your Best Photos? Crop your pictures to make your point? This entry was posted in Starters School, Tips Tutorials & Techniques and tagged Creativity, How to Shoot, Planning. Bookmark the permalink.